What is the Styling Consultation service? Styling consultation is a service in which the customer gets advised on how to improve their appearance by selecting the most appropriate clothes, shoes, top clothes, handbags, accessories, jewelery, makeup and hairstyle, as well as the most appropriate combinations for the person concerned. A fashion style consultant or, in other words, a stylist is a relatively new profession but for many people having a personal stylist goes alongside having a personal hairdresser, nutritionist, coach, make-up artist, masseur, cosmetician, manicurist, fitness instructor and many others. Why would I need a Styling consultation? On one side we are flooded with all types of information /there is so much information in google now/, but on the other hand it is hardly possible for us to deeply comprehend all areas of life. We need somebody to help us with professional analysis for the things we feel unsecure or we don’t have enough knowledge. For instance it is difficult to give an objective assessment and analysis of our own looks and the impression that we make to others. Here is where the stylist comes in with the “style consultation” service. Like any other profession, stylists use specific tools to determine the most appropriate style, cuts and colors for a particular person, according to the individual everyday life, body type, preferences, work, eyes and hair. Using variable techniques, the stylist helps you to highlight the parts of your body that you like and probably cover parts you are not so happy with. 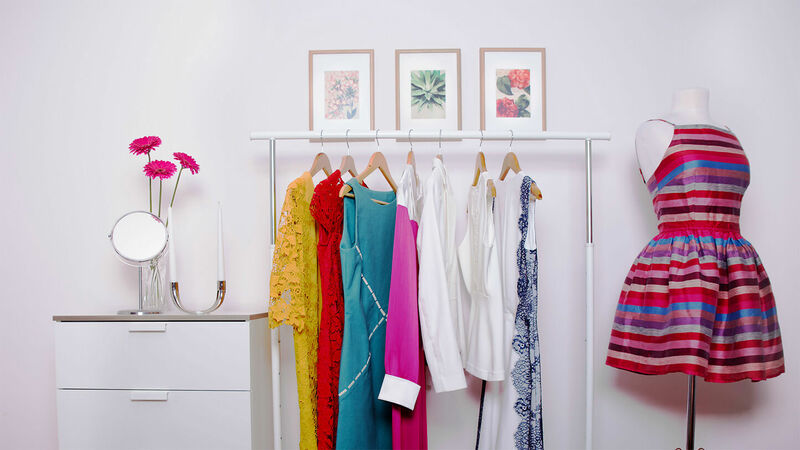 Moreover, a stylist prepares ready to wear outfits of the clothes you own in your wardrobe, so in the morning, when you certainly don`t feel like pondering about what to wear, just grab the outfit from the hanger. Sometimes Tia is called “the doctor of your wardrobe”. Because she doesn’t only give you a better look but also helps you feel better mentaly. How does the Style consultation service work? Tia works virtually with her clients from around the globe. You can develop your look and wardrobe from the comfort of your home. An exclusive service you won’t see anywhere else. What kind of people is this service for and can I take advantage of it? People that want to achieve more in their professional life, to make more sells, to increase their profit and to make perfect first impression to their clients. People that want to achive more in their personal like. They are looking for a mate but they are not confident about their look. Does the cost of styling include the price of clothes? What else do I need to know before hiring a stylist? Perhaps one of the most serious benefits of this service is that you do not take any risk – 0%! You have a 100% guarantee that you will receive a premium quality service that fits your needs. However, if you are not satisfied for some reason, Tia will do her best to fix the problem or refund the full amount of the payment. How can I book an appointment for a Style Consultation, Virtually? You will receive a conformational e-mail from Tia. I still have a question. How I can contact Tia? You can send your question by using the e-mail: tia@dressedbytia.com and Tia will personally answer you asap. Ready to rediscover your Look? Let's find out what are those things that make your Style unique! Download my FREE E-book “Make him want you” and learn How to dress irresistibly!